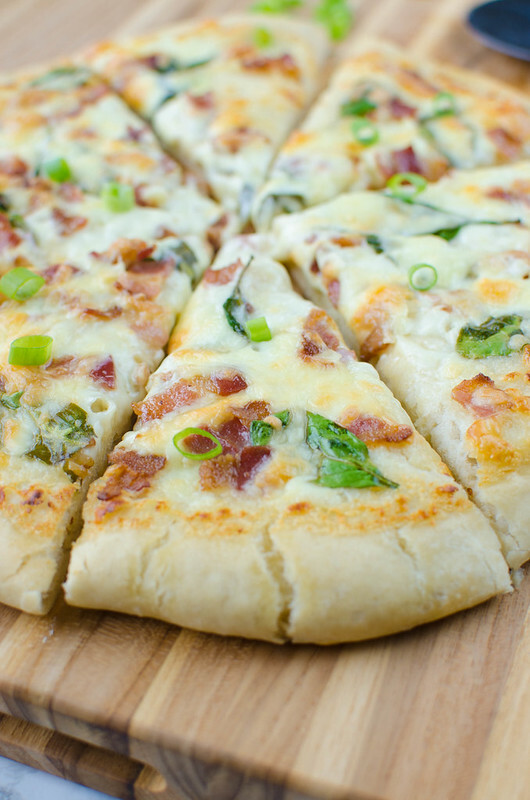 Chicken Alfredo French Bread Pizza – easy weeknight meal the whole family will love! 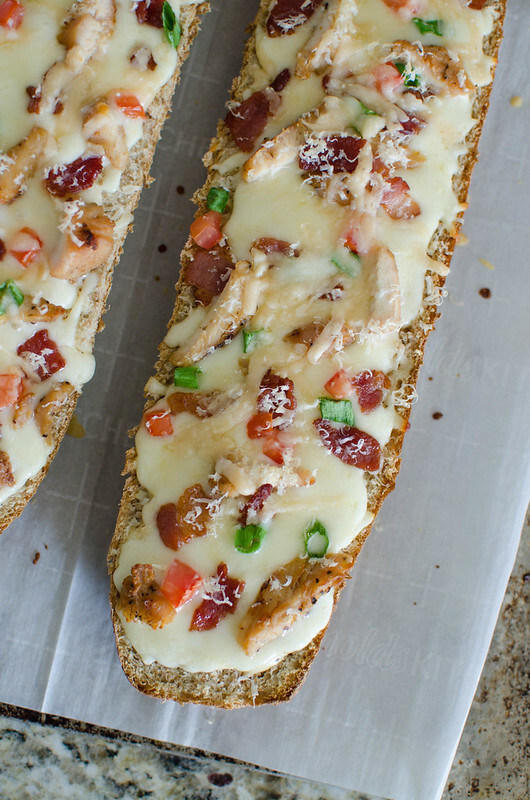 French bread layered with alfredo sauce, chicken, bacon, green onions, tomatoes, and 2 cheeses. I started my weekend with a call from the school nurse on Friday afternoon that lead to an urgent care visit to see if stitches were needed. Then we skipped a soccer game (because of the injury), lost one soccer game 10-0, and had a football game called off in the 3rd quarter because of lightning (we were losing that one, too). We kind of just lazed around Sunday. Watched some football. Made some French bread pizzas. 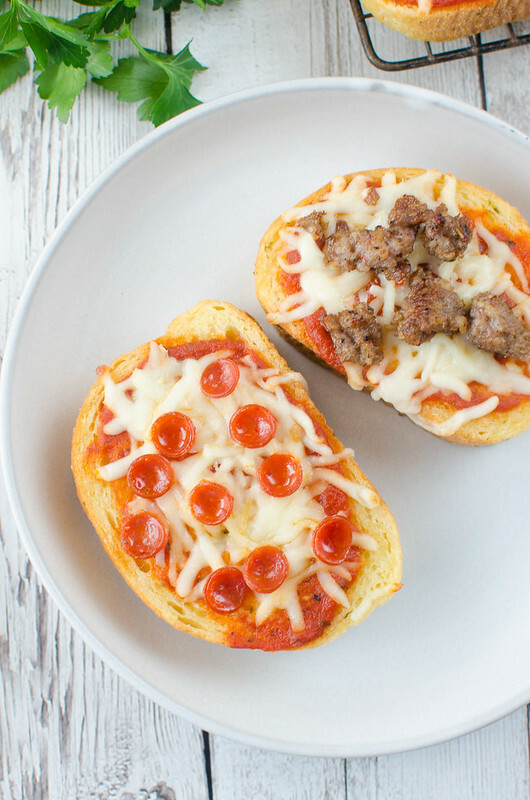 Texas Toast Pizza – quick and easy way to to do pizza night! Garlic Texas toast with pizza sauce, cheese, and whatever toppings you love! 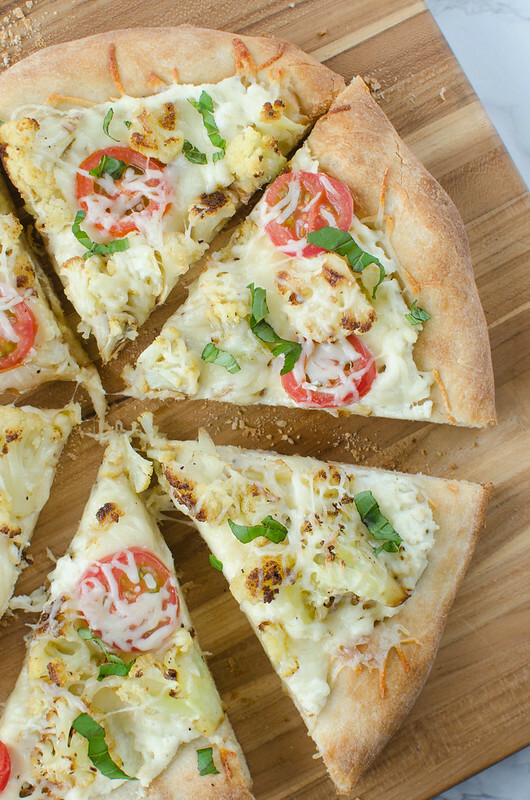 Ready in less than 10 minutes and a kid favorite! Last cheater week, I promise. Maybe. My life is still a crazy busy mess. So crazy that BF was actually in charge of this recipe. He made these Texas Toast Pizzas for the boys months and months ago and I noticed them when I was scrolling through the pictures on my phone while avoiding doing something important and time sensitive early last week. ANYWAY. 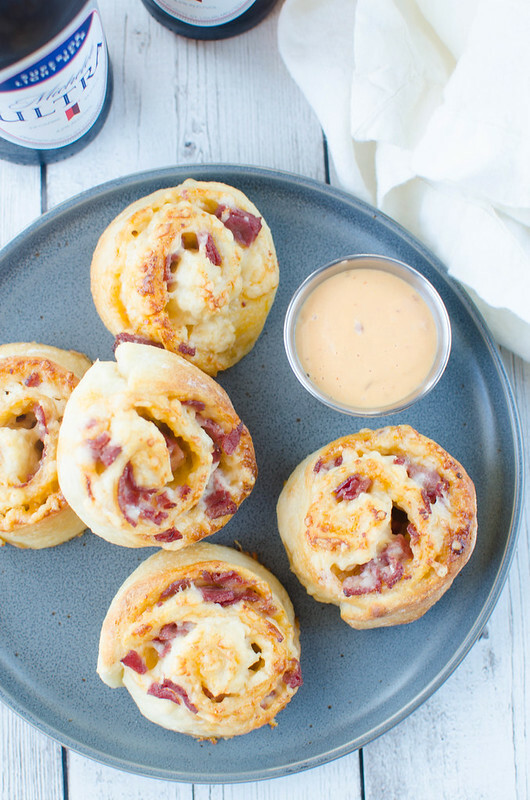 I casually mentioned to him that I was thinking about making them for this post and the next day all the ingredients were magically in the kitchen and he was ready to make them for me. If I haven’t mentioned it yet, I don’t deserve him. Also, yesterday he was outside washing his truck and came inside and said, “There’s a big long-haired German shepherd out here if you want to meet it” and yes, of course I want to pet the giant dog while you make small talk with the neighbors. This is exactly how I need this relationship to work.